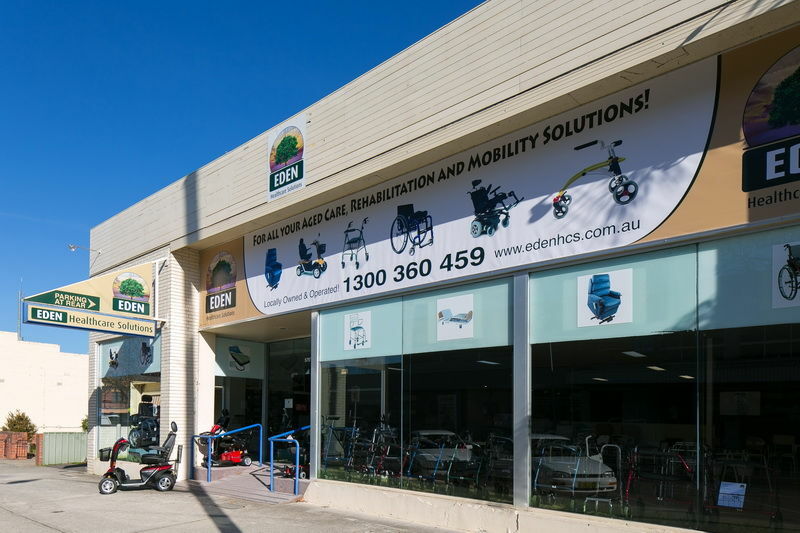 Our main showroom, offices and warehouse are located in Albury, and we also have a small shop on the main street of Wangaratta. We travel throughout Southern Regional NSW and North East Victoria, offering an extensive range of products and services to our clients. Our dedicated customer service team and qualified technicians have specialised product knowledge to assist you in finding solutions to even the most complex challenges. We work with healthcare professionals, funding bodies, aged care facilities, hospitals, maintenance departments and the general public. We also provide servicing for all healthcare equipment, with a fully equipped workshop and trained technicians. Onsite servicing is available for preventative maintenance and repairs. Eden Healthcare Solutions is proud to be a subcontractor for the DVA Rehabilitation Appliance Services (RAP) Schedule. We have a full time specialist staff member who is available in store to help you with any of your DVA needs from advising which items are available on the contract, to guiding you through the process for ordering specialist and non-contracted equipment. Eden Healthcare Solutions meets the high standards of excellence required to receive Quality Assurance and Compliance Certification. Our whole team prides ourselves on our commitment to upholding the standards of the ISO 9001 Quality Management certification. In line with our company ethos, all Eden Healthcare Solutions staff strive to find the most practical and economical solution to achieve a positive outcome for our client in the fastest possible timeframe.